Prevail”, on a beach in Puri, 55 km from the State capital Bhubaneswar. 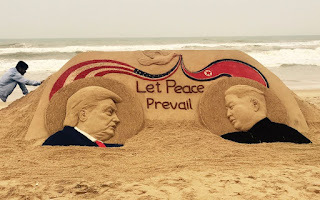 choosing peace,” said the internationally acclaimed sand artist. HIV/AIDS etc are giving positive messages to the World. 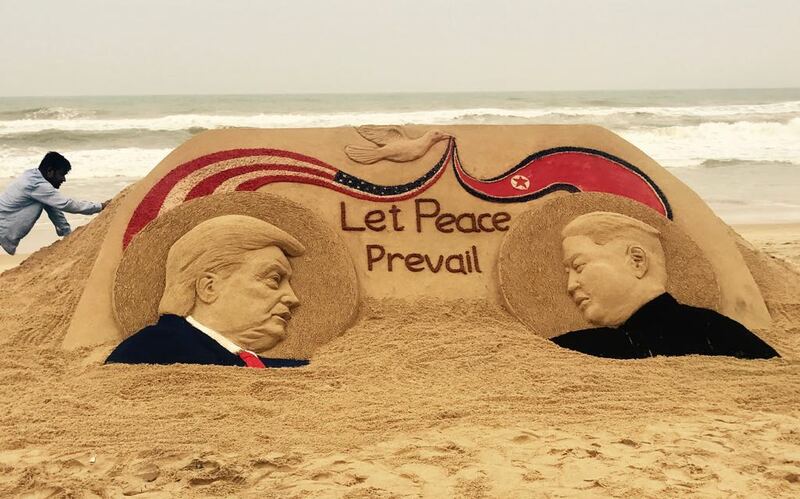 Trump would meet Kim Jong-un at 9 am Singapore time on June 12.